Leaving on a jet plane? Don’t know when you’ll be back again? While the former is far more certain than the latter, making sure your rental property is safe while you’re on vacation is an important, but often forgotten, part of rental property management in Baton Rouge. 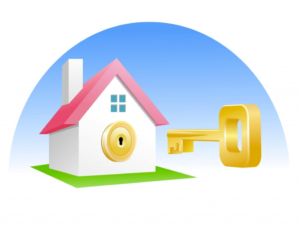 So to help you out here are 5 simple steps to keep your property protected. Get a Security System – This has all sorts of benefits including insurance and peace-of-mind, but more than that, security systems are extremely affordable these days. That means you can stay in the know while you’re on the go, for very little out of pocket expense. Social Media Smarts – No need to broadcast your whereabouts to the world, but in case you do want to make your friends jealous of that gorgeous tan you’re nursing in the Caribbean sun, make sure your social media accounts are locked down tight. Enable the strongest privacy settings possible so that no one, except those that matter, know where you are. Don’t leave a spare key outside – This is the oldest trick in the book but sadly, some people still fall for it. In today’s day and age, there’s no need to leave a spare key under the welcome mat, in the light fixture or taped to the window. In short, don’t give anyone easy access to your property that doesn’t need it. Hold the Mail – In the category of “one more thing” this can be a tough, but it’s a necessary step. Fortunately, the USPS has made it much easier by allowing you to do this either online or over the phone. So, there’s really no excuse to skipping this step. Unplug the Garage Door – For all the talk about security, some people fail to realize that burglars use universal garage door remotes to open the door and then waltz into the house like nothing happened. Don’t let this happen to you. Unplug the garage door before you leave and make it impossible for thieves to enter that easily. For Baton Rouge investment property owners,, securing your rental property before you leave can be a daunting task. That’s why it’s a good idea to get Real Property Management [Franchise Name] to take care of the hard stuff and let you get back to living your life.